We are looking for friends to join us in our monthly maintenance event at Danshui Foreign Cemetery in Taipei. The Cemetery is located near TamKang High School in Danshui. Please consider volunteering some of your time to help the Canadian Chamber of Commerce in Taipei keep up with regular maintenance of the cemetery. Help us to preserve this beautiful historic site in Taipei. Please join us for our next cemetery maintenance event. We host family-friendly events throughout the year. 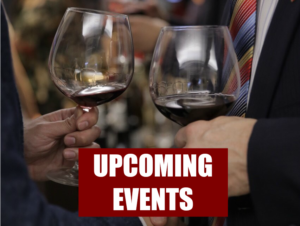 Visit our Events Page on the CCCT website or subscribe to our events on Facebook for up-t0-date information. The Danshui Foreign Cemetery was established in 1870, and it is a symbol of Canadian heritage in Taiwan. The cemetery has been cared for by the Canadian Society (now the Canadian Chamber of Commerce in Taipei) since 1984. There are more than 70 graves in the cemetery, many of which belong to Canadians. Members and friends of the Canadian Chamber of Commerce join together at the cemetery to clean up the tombstones and clear away the grass and debris that collects there throughout the year. This is a great way to take in some of Taiwan’s traditional culture while becoming familiar with the history of Canadians in Taiwan. There are plenty of historical sites in the area that can be visited if you plan on spending the day with us, such as the Customs Building, the “White House”, the first high school in Taiwan, the Red Fort, Danshui Old Street, and the Fisherman’s wharf, to name a few. The TamKang High School grounds are open for parking. You just have to find your way up the hill in the narrow streets! The cemetery grounds were consecrated in the early 1870s after a foreign event passed away in the Danshui area. 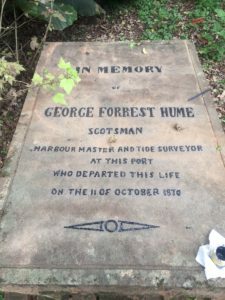 She was buried on the top of the hill behind the Harbor. Soon after her, a second child passed away and was buried in the cemetery. After the arrival of Dr. MacKay, the first Presbyterian missionary to northern Formosa, all foreigners were buried in the same area under the management of the British consulate, which was located in the Red Fort. 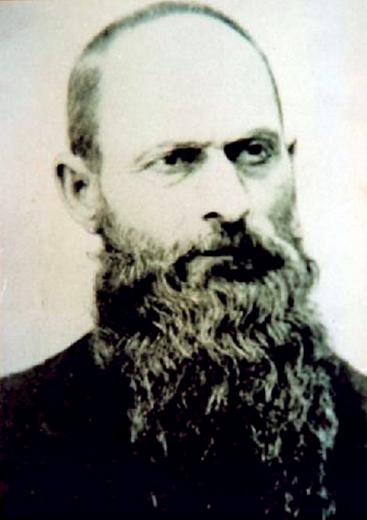 Dr. Mackay served with the Canadian Presbyterian Mission, and he is one of the best known Westerners to have lived in Taiwan. His grave lies in the eastern corner of the Tamkang Middle School campus. His son is buried next to him. 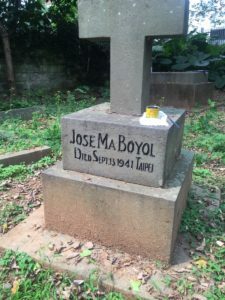 The Japanese authorities in the early 1900s classified the lot as a cemetery, and it was given for perpetuity to the Consulate for the burial of foreigners. The British Consulate was managing and maintaining the cemetery until the recognition of the PRC government in 1971, when the management was transferred to the Americans. Following the closure of the American Embassy in the late 70s, the cemetery files were transferred to AIT, and the cemetery was abandoned. Eventually, the wall was taken down, stones were stolen, and the graves became covered in tall grass. 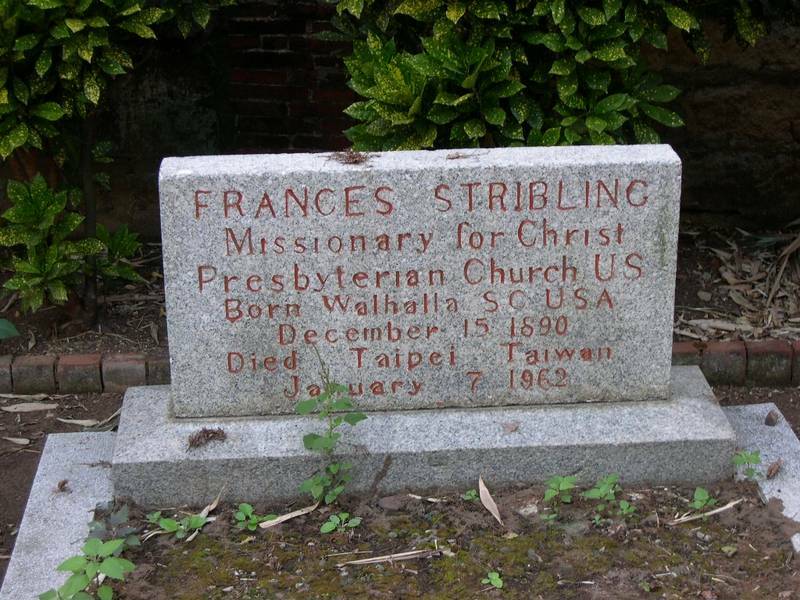 In the early 80s, two Presbyterians missionaries, Jack Geddes and Georgine Caldwell, tried to do something about the miserable state of the cemetery, where many Canadian expats are buried. They began by cutting the grass and cleaning the graves, and it eventually passed it into the hands of the Canadian Society in Taiwan for safe keeping in 1984. And so began our tradition of paying our respects to those who are buried there by keeping their final resting place clean and beautiful. Among the dead who rest here are Canadians, British, Americans, Germans, French, Spaniards, Portuguese, and Chinese. Some were missionaries, others were sailors, harbor masters, merchants, engineers and many infants. Each year, on Tomb Sweeping Day, we visit the cemetery to clean up the grounds and to pay our respects. In 2014, the Canadian Chamber of Commerce in Taiwan decided to visit the cemetery more regularly as many of the tombstones and walls were deteriorating quickly. Some of the tasks involved with our clean-up are: cutting the grass, fixing and repainting the stones, and removing garbage and other debris that accumulates there. In 2016, the CCCT, thanks to its generous benefactors, was able to rebuild the entrance gate to the cemetery. We have also started contribution drives among the foreign community to rebuild the surrounding walls. 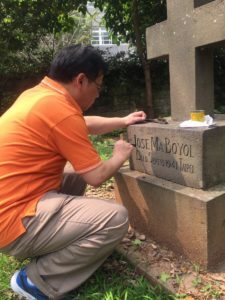 To stop the city government from destroying the cemetery to widen roads, the CCCT lobbied to declare the Danshui Foreign Cemetery a historical site in Taipei. This happened officially in 1998, and the cemetery has been in our safekeeping ever since. Since then, money and raffle sales from our small business events has been allocated to the cemetery to help with its annual upkeep. As the cemetery is adjacent to Dr. George Mackay and his family graves inside the TamKang High School, the school has also shown interest in helping with maintenance. The wall between the two cemeteries was lowered to its original height, merging the two sites, giving them the view you have today. You’ll see the entrance of the cemetery on the right. Note: Total distance 1.5km, about 30 minutes’ walk. Taxi is about $120. Walk up the hill, pass Aletheia University真理大學 and you’ll see Tamkang High School 私立淡江高中. The cemetery is inside the high school on the north east corner of the campus. Take Zhongsan Road 中山路 to Wenhua Road 文化路. Take Wenhua Road 文化路 to Zhenli Street 真理街 and turn right on Zhenli Street, Lane 3 真理街3巷 to Danshui TamKang High School 私立淡江高中. Please park inside the high School. The cemetery is inside the high school on the north east corner of the campus. Note: About 15 minutes’ walk. Carrie Kellenberger has been serving with the Canadian Chamber of Commerce in Taiwan since 2014. She joined the Board as their Communications Director in early 2014 and moved into the role of Chairwoman in 2016-2018. Carrie now supports the CCCT on its Board of Supervisors and assists the Board of Directors and its committees for CCCT events.